Kingtronics produces high-quality Capacitors and sells around the world, GKT-GN Radial Aluminum Electrolytic Capacitor is one of the bestsellers with competitive price, the only different characteristic- non-polarized, used in polarity reverse and change circuits. Here are some details about GKT-GN Radial Lead type E Cap. Many countries have their own way to celebrate the Valentine’s Day. 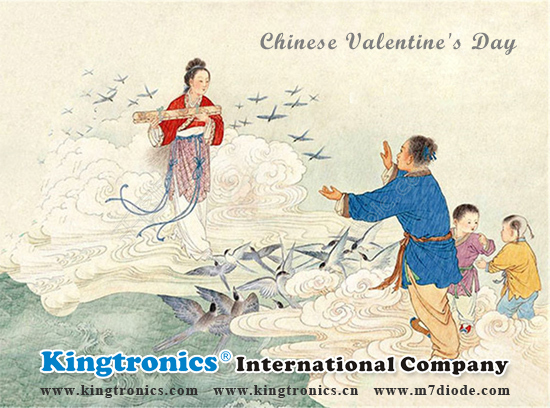 As for Chinese custom, we have Qixi festival for the lovers. It’s on the 7th day of the 7th Chinese lunar month. In 2017 that is August 28. It comes from a romantic legend about weaving maid and the cowherd. As the story goes, Niulang (牛郎) was a cowherd who was an orphan living with his brother and sister-in-law. However, his sister-in-law disliked him and mistreated him, which force Niulang leave with an old ox. One day, the ox talked to him that there are young goddesses bathed in the sacred pond near Niulang's cottage and the most beautiful girl in the universe, Zhinv (織女), would be his wife. The two fell in love at first sight and were soon married. However, Zhinv was renowned not only for her beauty but for her skills as a weaver and seamstress as well. She was also the granddaughter of the Jade Emperor(玉皇大帝). When the Jade Emperor found out that his granddaughter had married a mortal. He ordered the Empress to fetch Zhinv. Niulang came home and found his wife had been taken away. He immediately took their kids to catch up the Empress. The Empress became angry when she saw Niulang and his children. She slashed across the sky with her hairpin and a raging river flowed in the heavens. This created the Heavenly River (天河) , which separated the lovers. Niulang and his children could only weep bitterly. Moved by their sorrow, the Jade Emperor turned them into stars and allowed them to meet once each year via a bridge made from magpies (喜鵲). Kingtronics has a product extremely long life, it reaches up to 12000 hours, it is GKT-GE Radial Aluminum Electrolytic Capacitors. GKT-GE Radial Through-hole E Cap especially designed for LED, saving lamp, etc. If you want to find extremely long life Radial Aluminum Electrolytic, GKT-GE Through Hole Aluminum Electrolytic Capacitors must be your best choice. Kingtronics GKT-GZ Radial Aluminum Electrolytic Capacitors has not only the lowest impedance but also down size in Radial series. There is no doubt that Kingtronics is reliable, so you can completely rest assured. Kingtronics produces high quality Capacitors and sells around the world, GKT-GQ Radial Aluminum Electrolytic Capacitor is one of the bestsellers with competitive price, long life and high frequency. Here are some details about GKT-GQ Radial Lead type E Cap. Kingtronics would never make you disappointed, it’s worthwhile to choose us! 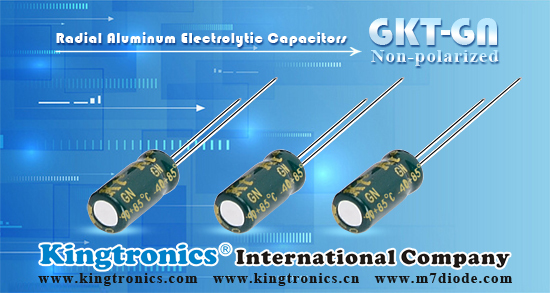 Today, I sincerely recommend Kingtronics GKT-GU Radial Aluminum Electrolytic Capacitors to you. With long life and miniature, it can be used in DVD, Color-TV, Air conditioning electron gas meter circuits, etc. If you want to find this type of Aluminum Electrolytic Capacitors, GKT-GU Radial Lead type E Cap must be satisfied with you! 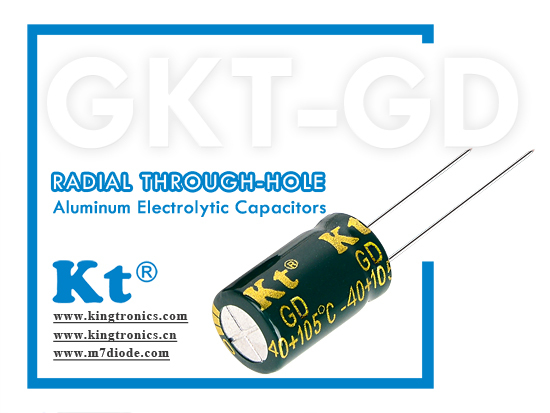 If you want to find Radial Aluminum Electrolytic Capacitors which is suitable for LED lamp, Kingtronics sincerely recommend to you our GKT-GD Radial Through-hole Aluminum Electrolytic Capacitors. It’s extremely designed for LED lamps or LED driver. Tags:KT kingtronics GKT-GD GKT-GR Radial-Lead Aluminum Electrolytic Capacitor Dip-in Aluminum Electrolytic Capacitors Aluminum Electrolytic Capacitor Radial DIP Assorted. Aluminum Electrolytic Capacitors have always been the sales champion in Kingtronics. 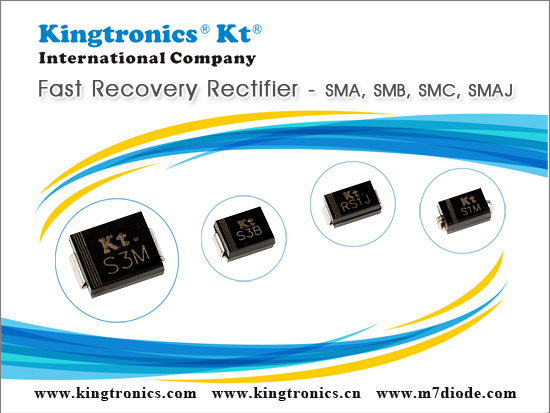 As you know, Kingtronics has business partners around the world, the quality of Kingtronics is no need to worry. And now I introduce GKT-GF Radial Lead type E Cap to you, it is particularly suitable for LED lights. Don’t hesitate, you can always find what you need in Kingtronics, hurry to contact with us!